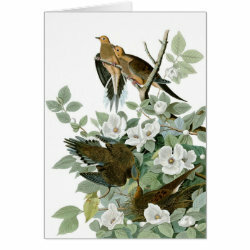 This is a fine reproduction of a painting by famed American ornithological artist and pioneer John James Audubon. 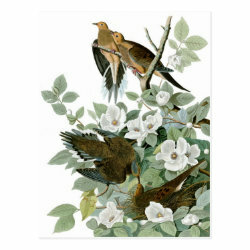 Four Mourning Doves are painted this incredibly life-like image, which was originally titled Carolina Pigeon or Turtle Dove. The work was created for Audubon's masterwork, Birds of America.